**Flash Player is pre-installed in Google Chrome! This is a simple double-click install. 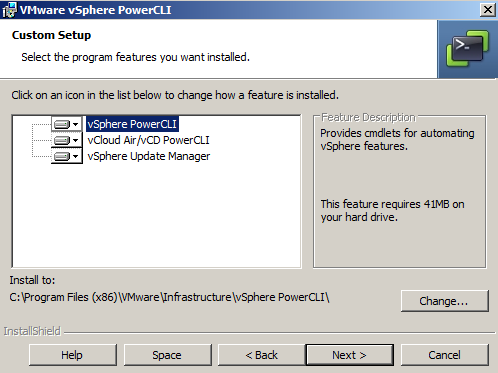 Double-click the exe - VMware-PowerCLI-6.3.0-3639347.exe - to install. Note 1: If the PowerShell ExecutionPolicy is not set to RemoteSigned or less, the install will warn about this, use Set-ExecutionPolicy RemoteSigned (or Unsigned for less restriction). Note 2: This installs .NET Framework 4.5 Full - it downloads it when you run the exe and reboots the machine! Note 3: It also installs the VMware Remote Console Plug-in 5.1 - plugins for IE, Firefox, and Chrome. This is a simple double-click install. Double-click the msi - mysql-connector-net-6.9.8.msi - to install. 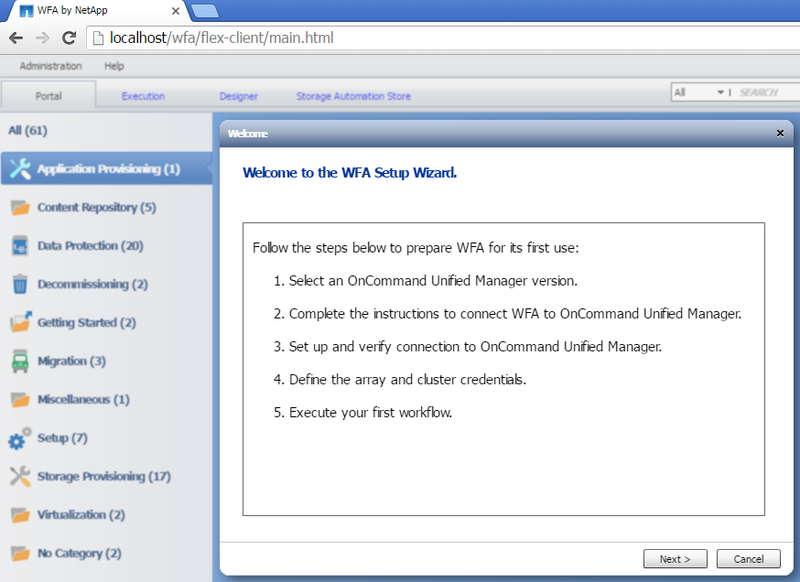 Note: Refer to the “OnCommand Workflow Automation 3.1: Installation and Setup Guide for Windows” for full instructions. 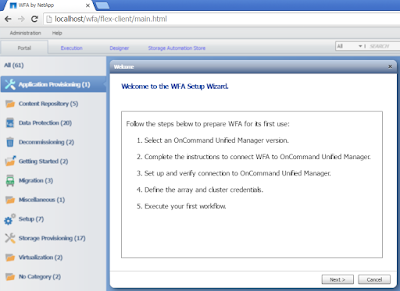 WFA-x64-v3.1.0.0.2P2-B3650164.exe /s /v"WFA_ADMIN_USERNAME=admin WFA_ADMIN_PASSWORD=YourPassword WFA_ADMIN_CONFIRM_PASSWORD=YourPassword WFA_INSTALL_SITE=lon WFA_INSTALL_ORGANIZATION=lab WFA_HTTP_PORT=80 WFA_HTTPS_PORT=443 WFA_ENABLE_HTTP=1 INSTALLDIR=\"C:\Program Files\NetApp\WFA\" DATABASEDIR=\"C:\Program Files\NetApp\WFA\Database\" /qn /l*v install.log"
Note 1: Replace YourPassword as required. Note 2: The default ports 80 and 443 are specified here. Note 3: WFA_ENABLE_HTTP was set to 1 above (the default is 0) which allows both HTTP and HTTPS for external communication. MSI (s) (CC:C4) [14:17:46:786]: Product: OnCommand Workflow Automation -- Installation operation completed successfully. Log into WFA via http(s)://WFA_Server_DNS_Name_or_IP and follow the WFA Setup Wizard (or not - can re-run Setup Wizard from the Administration menu later) - simples!